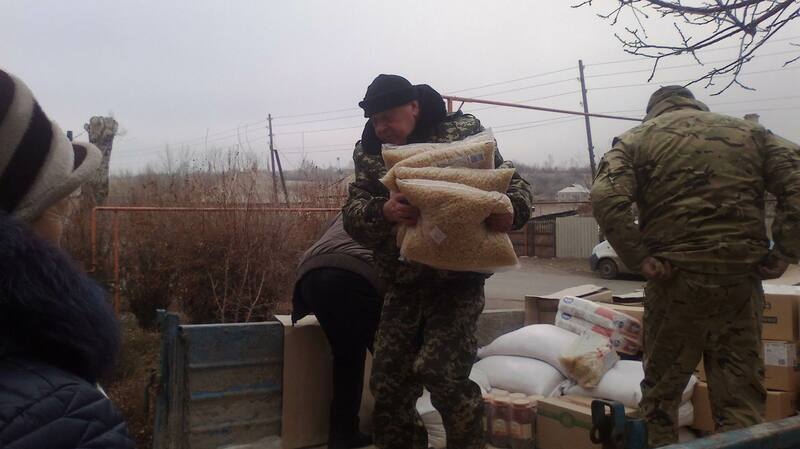 Another Russian “humanitarian” aid convoy arrived to Lugansk. Video. 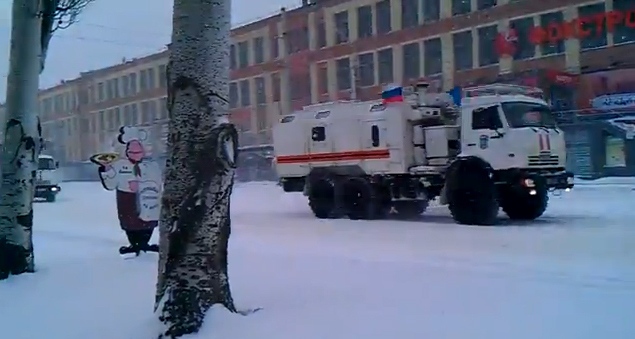 Today at about 11:40 am Russian white trucks that are part of so-called “humanitarian”aid convoy went on Oboronnaya st. in Lugansk towards the city center. There were 10 cargo trucks and there were also 10 other trucks that transported fuel that followed them. 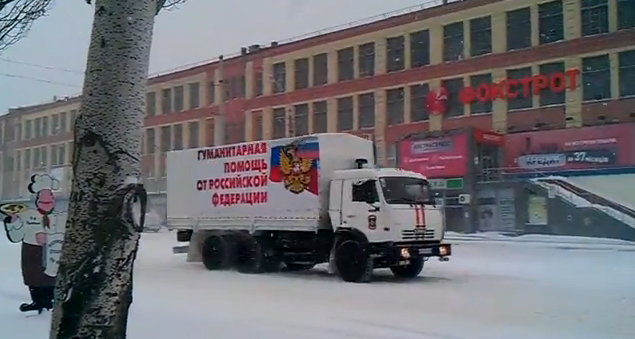 On the video this convoy goes near Avangard Football Stadium. 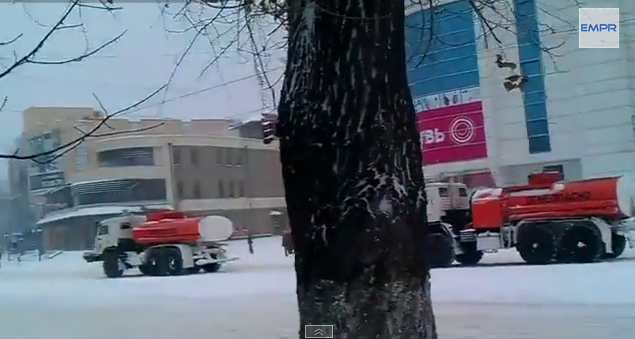 Here is a video of Russian trucks transporting fuel. Here are some photos of the trucks that were in this convoy. 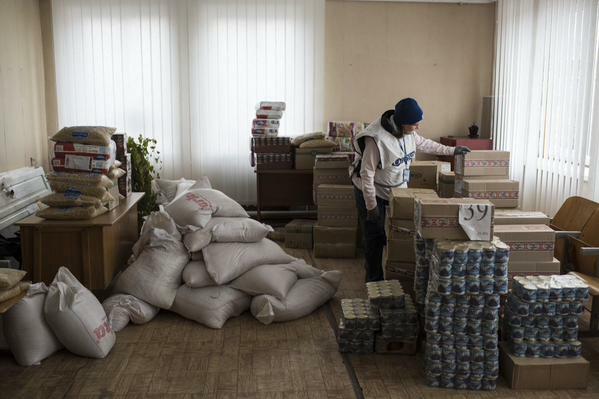 Today Russia from their side only made custom control of humanitarian cargo. Ukrainian customs unit only did visual observation of the trucks passing through state border and didn’t do any control as Russian side broke all international requirements and Ukrainian laws regarding transportation of cargo of humanitarian aid and representatives of International Red Cross Committee also didn’t take part in the the cargo transportation. 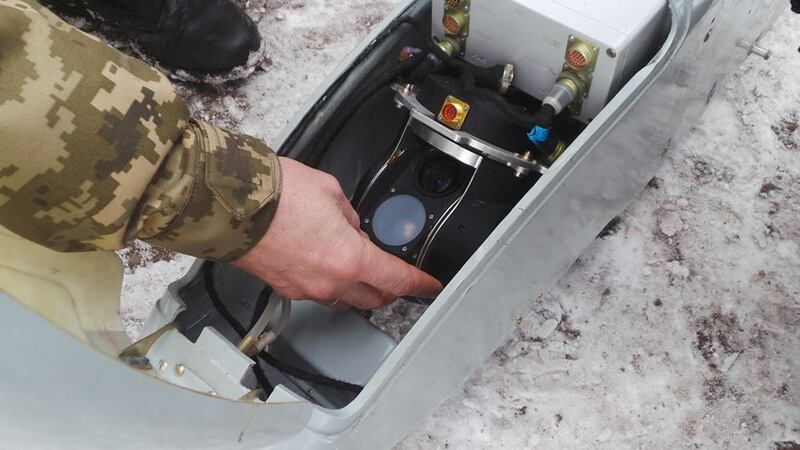 Visual control took place in border control checkpoints Donetsk (Russia) – Izvarine (Ukraine) and Matveev Kurgan (Russia) – Uspenka (Ukraine) on the territory of Russian Federation by two joint units of Border Guards and Customs. From 08:10 am till 09:10 am 63 vehicles passed through Matveev Kurgan (Russia) border control checkpoint. From 08:30 am till 09:40 am 43 vehicles passed through Donetsk (Russia) border control checkpoint. In total there were 106 vehicles in two border control checkpoints. Pro-Russian terrorists of LPR fired at a bus, there are killed and wounded. 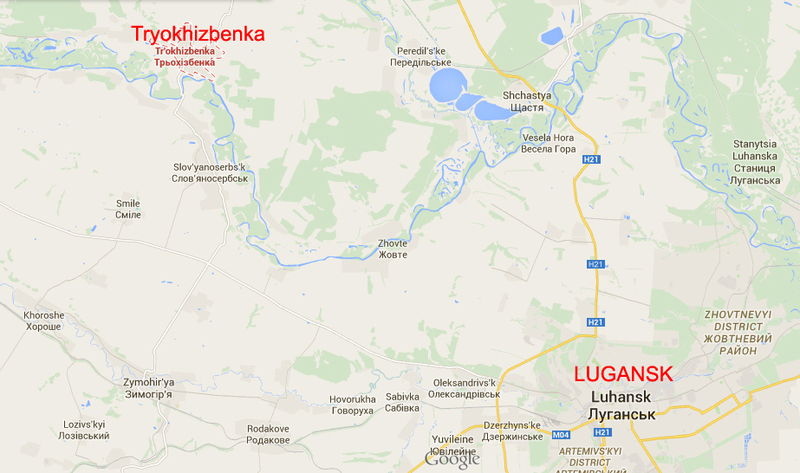 Last night pro-Russian terrorists of Lugansk People’s Republic (LPR) fired at a bus and two cars near Stanytsia Luhanska. 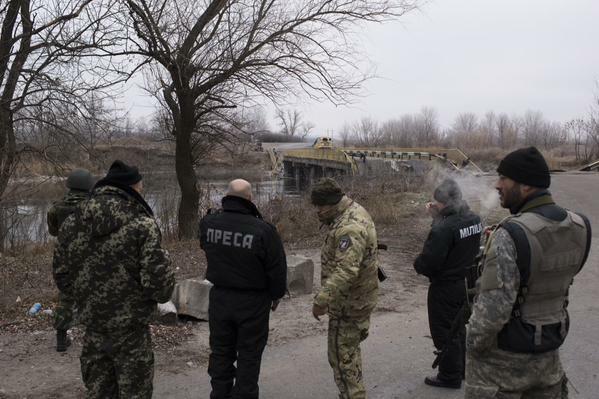 They fired near the location of Prince Igor monument, in front of the bridge across Sivetskiy Donets river, on the territory controlled by terrorists. One person got killed, several people got wounded. There is still no detailed information about people who were there. You can view big size map of ATO (Anti-Terrorist Operation) on National Security and Defense Council of Ukraine website here. On Thursday terrorists were also shelling at Vrhnya Vilhova and Nyzhnya Vilhova villages located near Stanytsia Luhanska, no considerable damage was reported. Near Valuyske village the forest got on fire after the shelling from GRAD (multiple rocket launcher system) from the side of terrorists. United Nations presented computer equipment for Lugansk Regional archive. 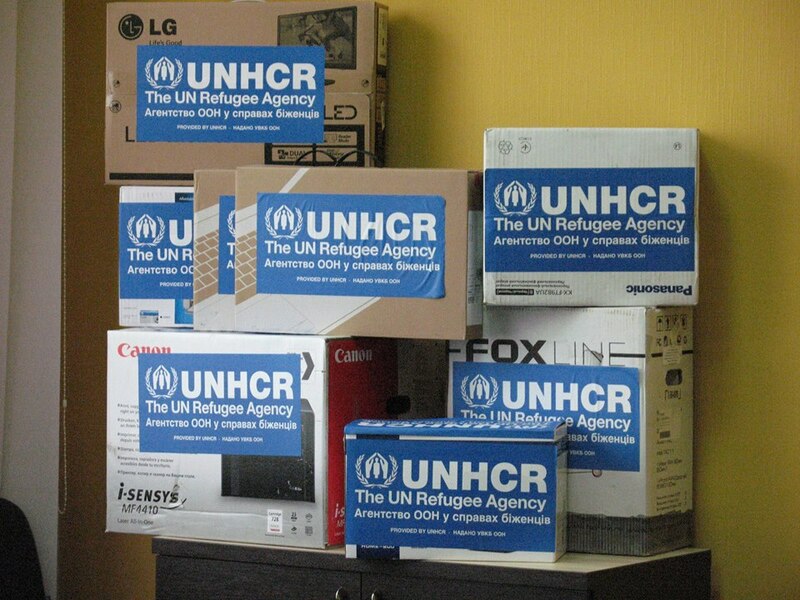 United Nations presented computer equipment total cost about 50 000 UAH for Lugansk Regional State Archive. The Vice-Governor of Lugansk Region Olga Lishyk thanked international organization for the provided support that included laptops, desktop computers, printers and so on. The State Archive has moved to Severodonetsk without computer equipment and the work of that department directly involves documents recovery for Ukrainian citizens who were relocated, so we decided to buy that equipment. 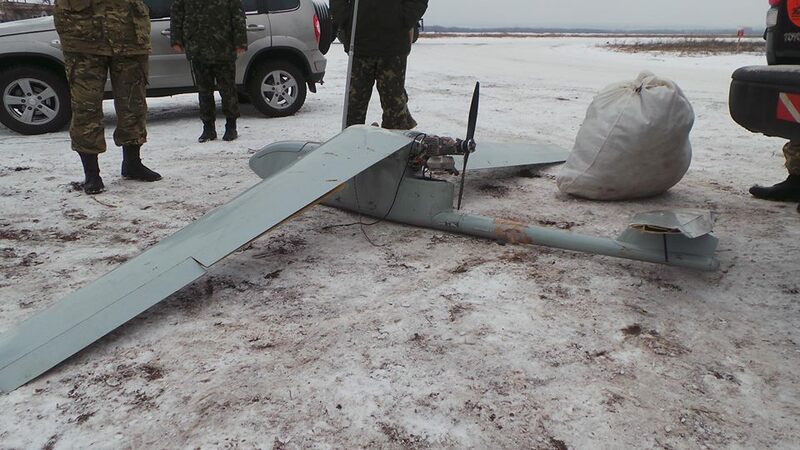 OSCE failed to help in Tryokhizbenka. Terrorists from LPR continued shelling. On Sunday there was a big operation to save Tryokhizbenka village from humanitarian catastrophe. The village with 2000 population is cut off from gas for three weeks already and has no electricity for over a month. The Governor of Lugansk Region Hennadiy Moskal says that Russian terrorist group “Great Army of Don” with their leader Kozitsyn don’t allow to fix damaged gas and electric lines. 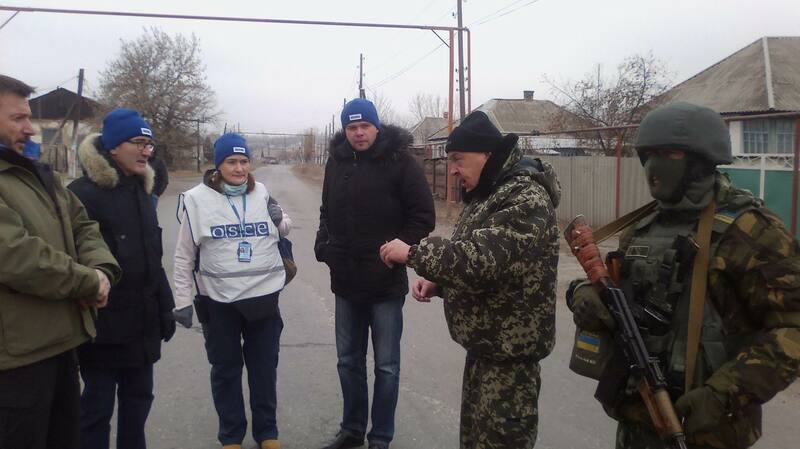 We tried to use OSCE observers as mediators. On Friday I had a meeting with the head of Special Monitoring Mission of OSCE in Ukraine Ertugrul Apakan and again I was very straight forward and asked to do at least one thing, help to save Tryokhizbenka, to talk to Kizitsyn and agree about cease-fire and allow to let the workers to get on the territory. 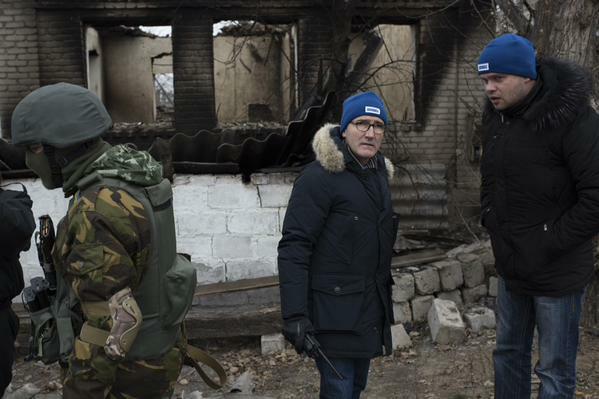 The observers of OSCE were meeting with Kozitsyn several times and on Saturday night he guaranteed to stop fire. On Sunday morning I personally went to Tryokhizbenka and took a truck of humanitarian aid with me, OSCE observers also went there. Repair teams were supposed to work in two directions. 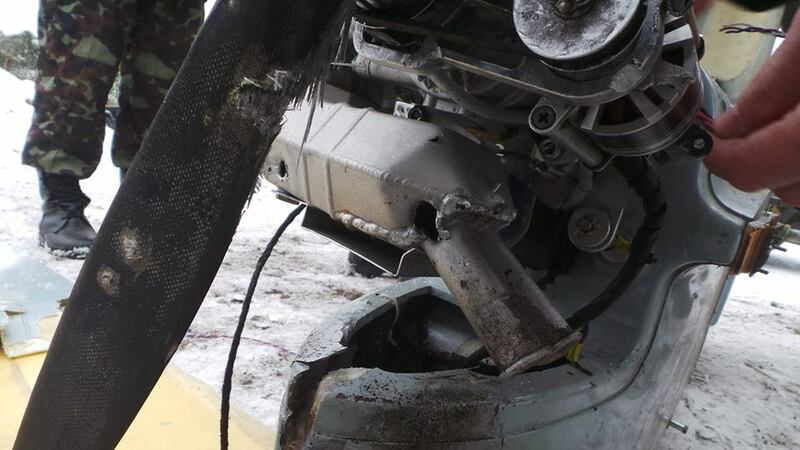 Gas workers were supposed to work from the side controlled by Ukrainian authorities and from Alchevsk city controlled by terrorists, and they were supposed to meet near Krymske village and together renew damaged gas pipeline that goes to Tryokhizbenka. 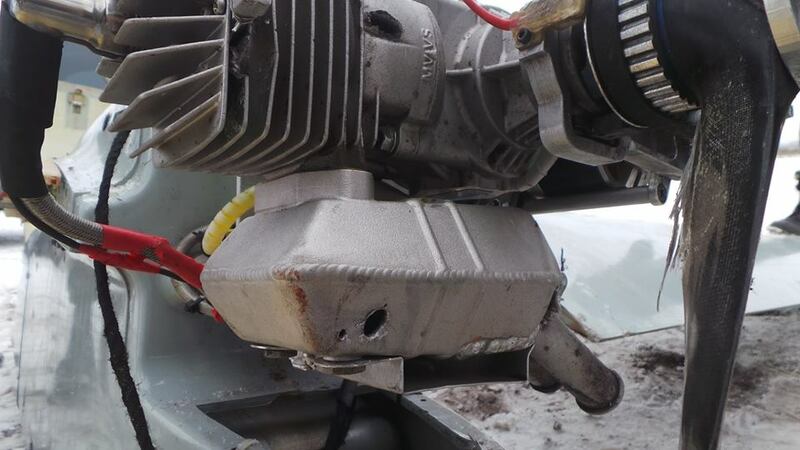 And electric team started to fixed damaged power lines at the same time in Tryokhizbenka and on the territory controlled by Kozitsyn from the side of Slovyanoserbsk. I am sorry to inform that the terrorists broke the agreement. They simply didn’t allow our workers to Krymske and they fired with automatic grenade launchers at our team that went to the neutral territory in workers uniform and with white flags. Luckily nobody was wounded and the military unit evacuated people. The situation in Tryokhizbenka was a little bit different. Half of the day everything was quiet and the workers from Slavyanoserbsk had time to fix about 80% of damaged lines on the territory controlled by Kozitsyn and after noon time terrorists opened fire, so people had to stop working. So Tryokhizbenka didn’t get gas or electricity. Cold weather started, on Sunday it was -10C and people have to cut down forest and trees in their gardens. OSCE failed to be mediators between Ukraine and terrorists to guarantee cease-fire in order to save civil population from freezing. We will try to do something ourselves. OSCE was also reporting on this situation through their twitter account yesterday confirming their mediators role in negotiation with the LPR leaders about cease-fire to allow workers to fix damaged infrastructure in order to restore gas and electricity supply for Tryokhizbenka village. OSCE has also posted report about Tryokhizbenks today at their Facebook page In their report they insisted that they were successful in arranging cease-fire. When the SMM reached Trokhizbenka at 0900 on Sunday the temperature was -10 Celsius. 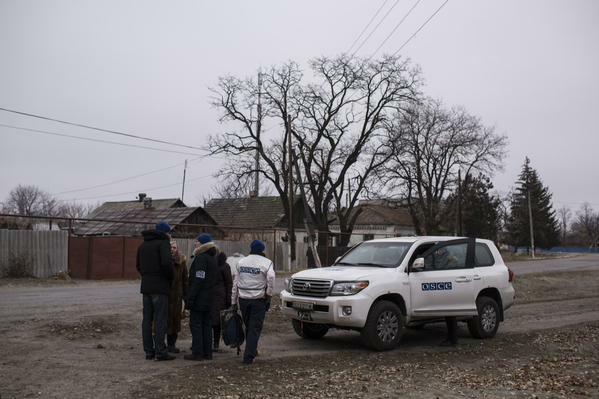 Villagers told SMM monitors that they’re being shelled because of their proximity to the front line. Monitors observed the repair works as well as the distribution of aid. THE TRUCE HELD FOR THE ENTIRE TIME THE SMM WAS ON SITE. Russia increased military presence in Lugansk. The headquarters of Anti-Terrorist operation of Ukraine reports that in the last 24 hours 20 military vehicles crossed the border and came to Ukraine from Russia at the border checkpoint “Izvaryne” which is now under Russian Army and terrorist groups control. Those military vehicles went to Lugansk direction. Russian Federation continues to do rotation of their regular Army units located on the border with Ukraine. Russian motorized infantry troops are changed for tank divisions. 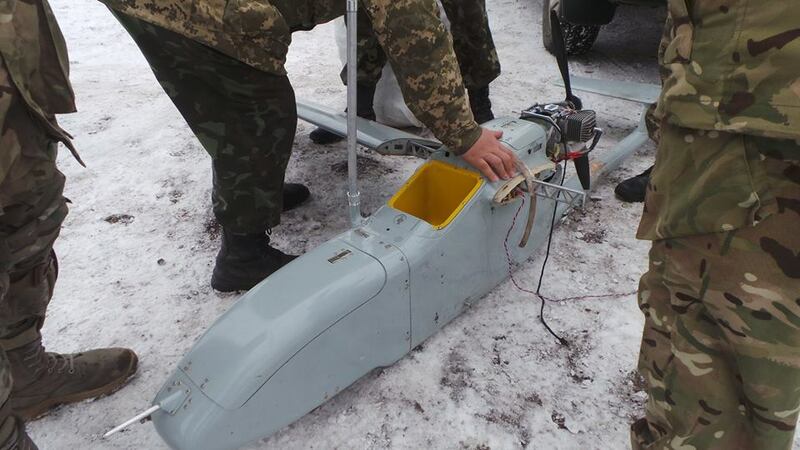 More Russian UAVs (unmanned aerial vehicle) have been seen near Tryokhizbenka village. Terrorist re-group their units and armored vehicles on the territories that are now under their control. During all day the terrorists of LPR were shelling at the positions of Ukrainian Army and civil objects. From their position at Vesela Hora terrorists were shelling at the Power Plant located at Shchasya city. 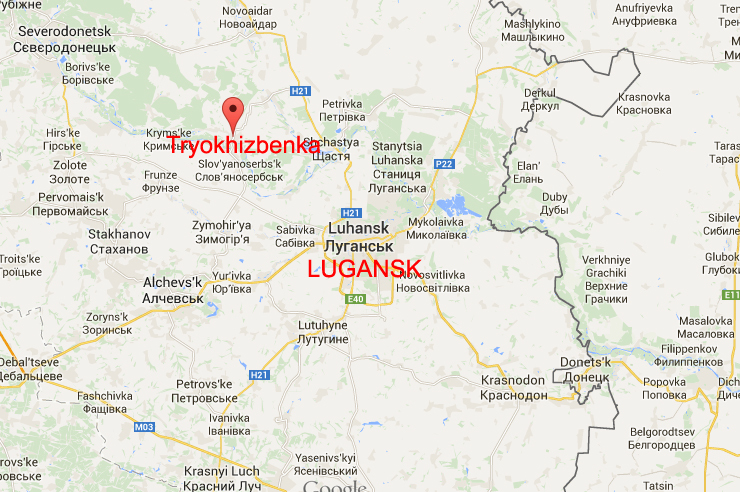 Stanytsia Luganska and Tryohizbenka were also under artillery fire. 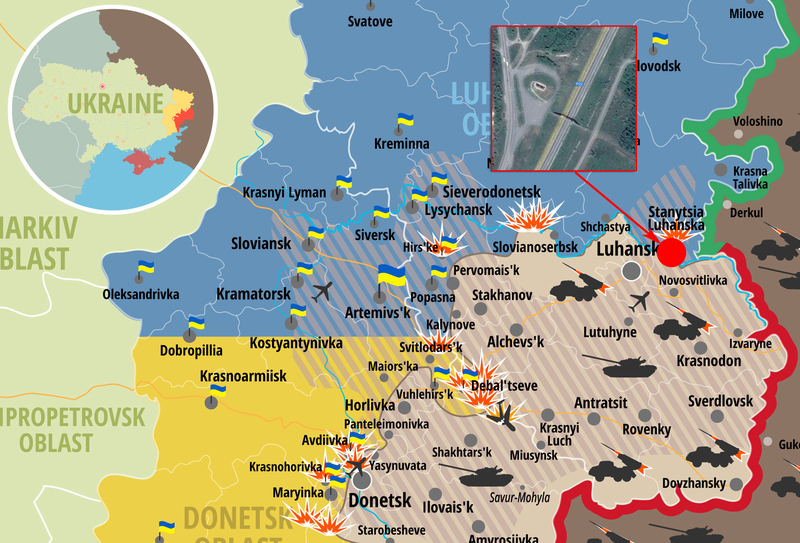 Aviation and artillery attacks on Ukraine from Russian territory. National Security and Defense Council of Ukraine has reported today that Russia renewed shelling at Ukrainian Army positions from the territory of Russian Federation using artillery. 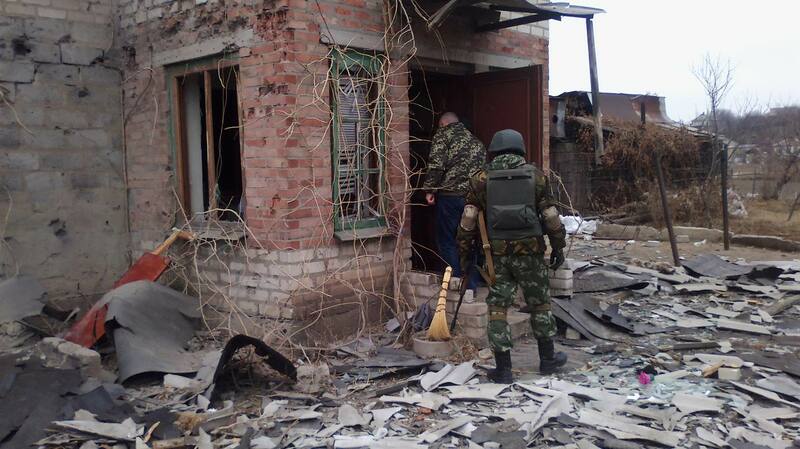 This is the 1st registered incident since September 5 when ceasefire agreement was signed in Minsk (Belarus). 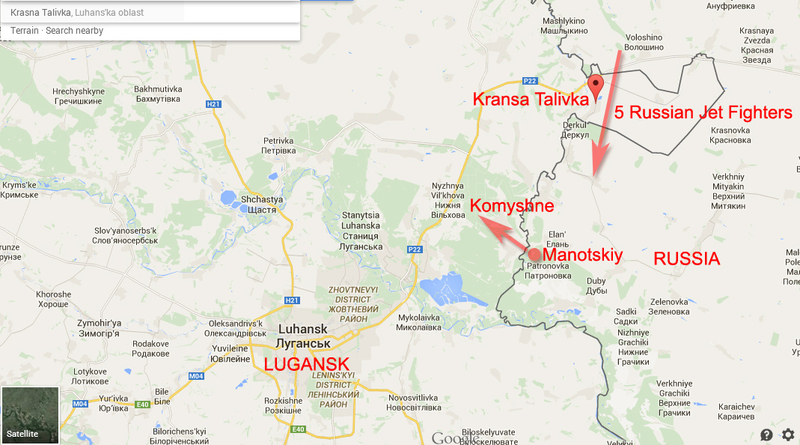 The artillery fire was from the direction of Manotskiy village (Russian Federation) to the direction of Komyshne village (Ukraine). This was also mentioned in the report of State Border Guard Service of Ukraine. Artillery shelling from Russian territory registered first time since the 5 Sep. ceasefire. 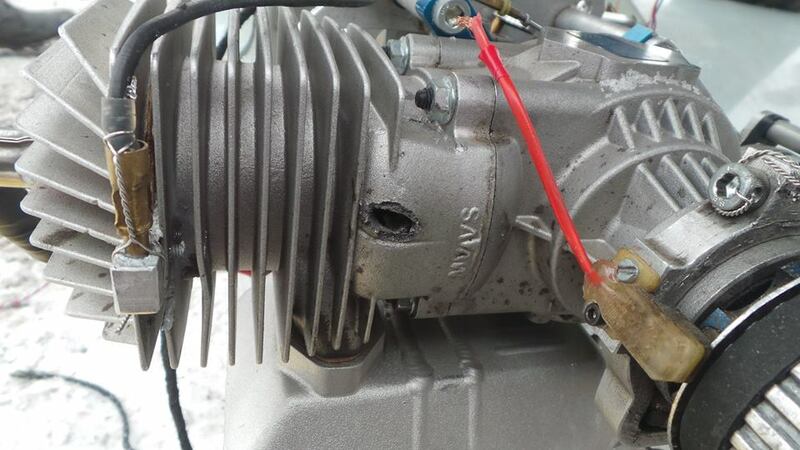 Shells were shot in eastern part of Luhansk obl. Also today another incident was reported by locals. 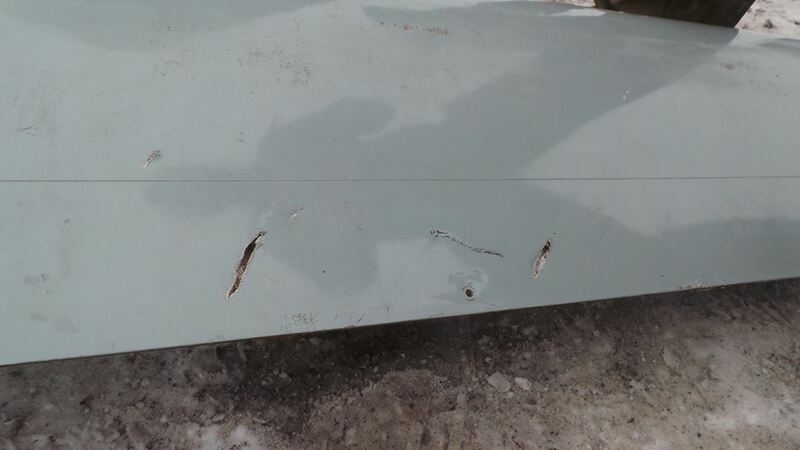 At about 11:45 am five Russian Fighter Jets crossed Ukrainian border at Kransna Talivka, that territory of Lugansk Region is controlled by Ukrainian Authorities. 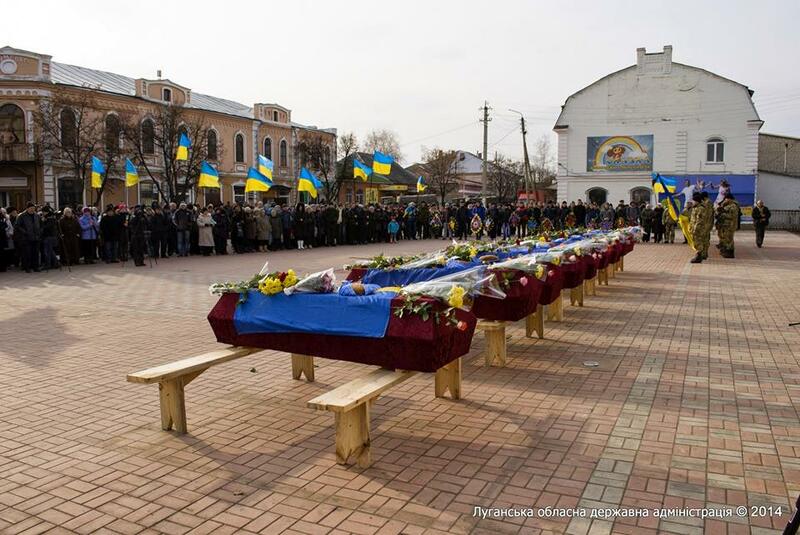 Funerals of Ukrainian soldiers in Starobelsk. 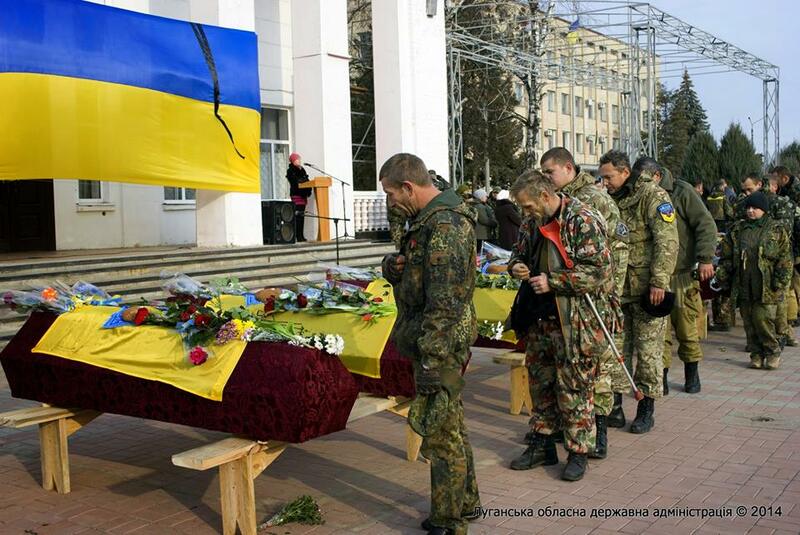 On November 18 there were funerals of nine unknown Ukrainian soldiers who died protecting their Motherland. 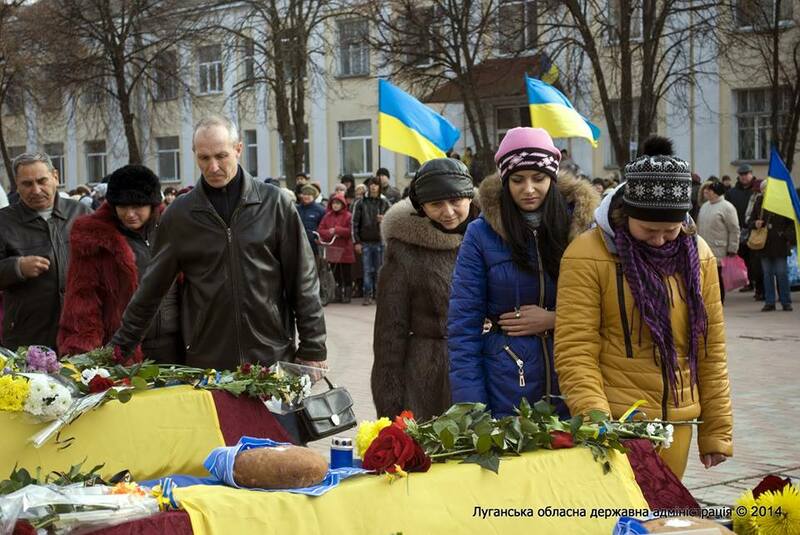 People came to central square of Starobelsk city to say goodbye to them. 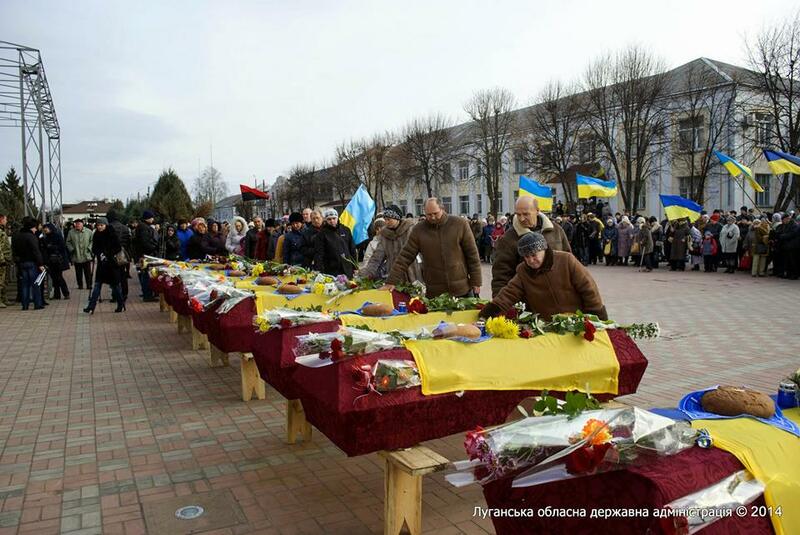 The mayor of Starobelsk Oleksandr Goncharov, Vice-Governor of Lugansk Region Olga Lishyk, the head of civil organization “Ukrainian Women Union” Olga Miroshnichenko, representatives of Ukrainian Army and hundreds of local citizens were present there. 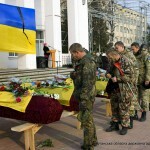 The Vice-Governor said that the words of Ukrainian anthem “We will give our body and soul for our freedom” are not empty words for the heroes who died. They gave their soul and body for the freedom and the peace in out country. She also said that everything will be done to identify those men. The DNA samples were taken and the search team is already working on that. 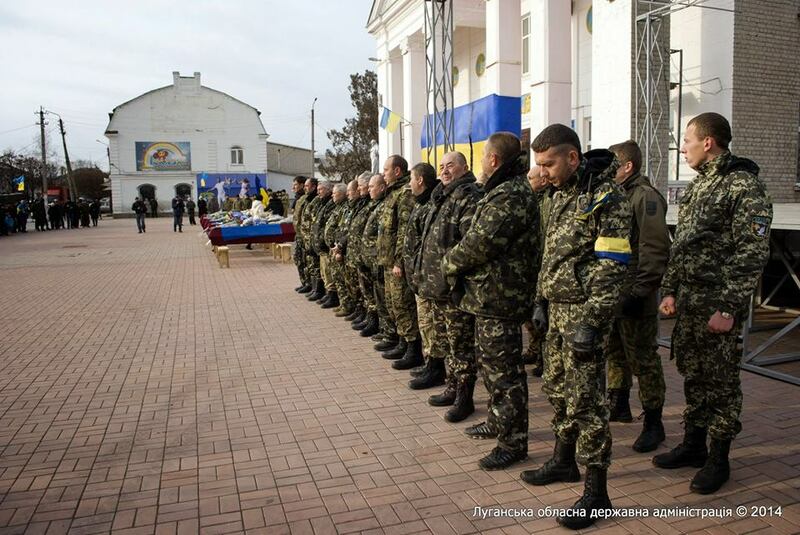 So the relatives will know where they are and people of Ukraine will know the names of the heroes. Representatives of Special Monitoring Mission of OSCE agreed to be mediators between Lugansk Regional State Administration and “Great Army of Don” (Russian paramilitary group that controls some areas of Lugansk Region). 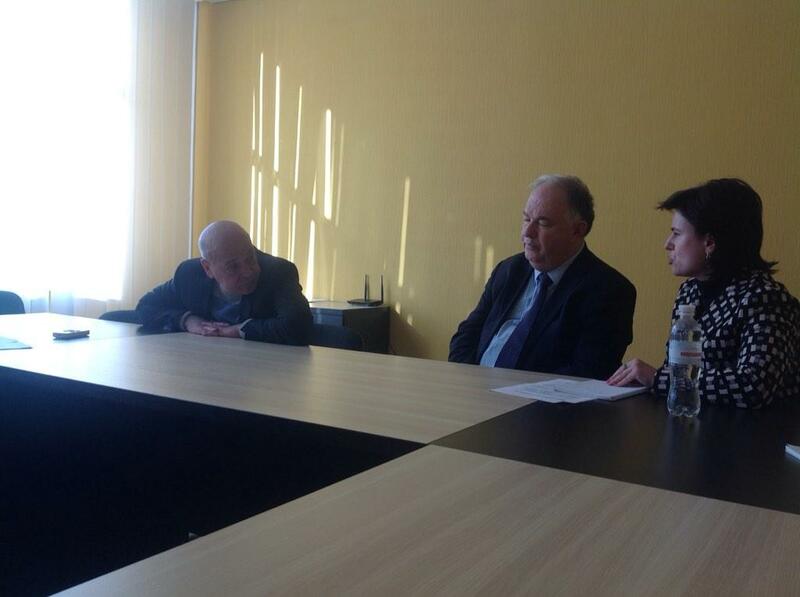 Today, Hennadiy Moskal met representatives of SMM of OSCE. The Governor personally asked to organize this meeting, because of the critical situation in Tryokhizbenka village. There is no electricity, water or gas. 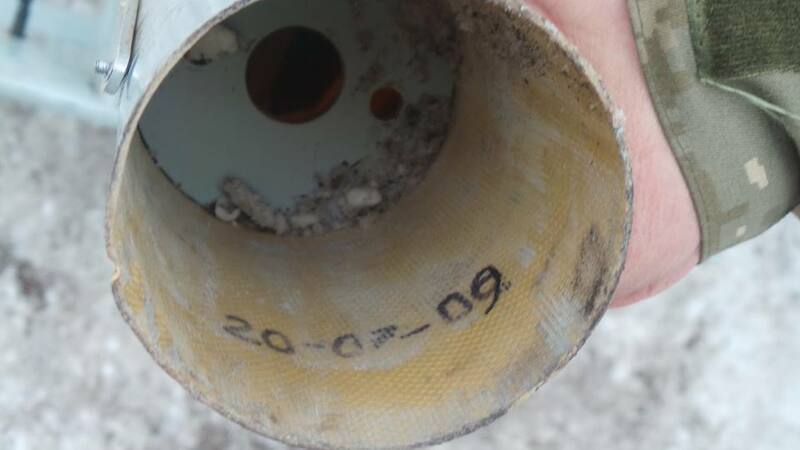 It’s not possible to fix gas pipe lines as they are located on the territory of Sokolniki village which is on the front line between Ukrainian Army and armed groups of LPR. At the same time, electric power lines are on neutral territory and it’s impossible to restore them because of continuous shelling. It’s not possible to restore water supply as there is no electricity. We are asking OSCE mission to help to stop fire and arrange time when electric and gas workers can access that territory and restore communications. – Hennadiy Moskal. The representatives of OSCE SMM agreed to be mediators between Lugansk Regional State Administration and “Great Army of Don” and promised to meet their leader Mykola Kozitsyn in the next few days. Reported by Lugansk Regional State Administration. Ukrainian Railway Company “Ukrzaliznytsia” has reported today that because of military activity the trains from Kiev to Lugansk and trains from Odessa to Lugansk will no longer go to Lugansk and the end point will be Krasniy Lyman station. Passengers train #591 from Odessa will be arriving to Krasniy Lyman at 3:49 and will be going back to Odessa at 16:45. This trains is not going to Lugansk since November 15. Starting from November 20 the train #520 that goes from Kiev arrives to Krasniy Lyman at 5:01 and goes back to Kiev at 17:52.